What it doesn’t mean is depriving yourself of the good things in life. What it means is to slow down life and enjoy life. I was born in a small rural town in Pennsylvania where waking up to chickens crowing and gardens needing to be tended to was nothing but normal. 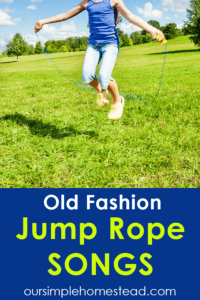 I guess you could say my old fashion simple lifestyle was born right into me. I knew I was drawn to a way of life that the world around me was fighting hard to escape. Fast cars, fancy appliances, and fast food were creepy in fast and I either jumped on or off the bandwagon. I choose to jump off fast and I’ve never looked back. Many of my friends told me I had an old fashion spirit and I loved because that is how I’ve always felt. 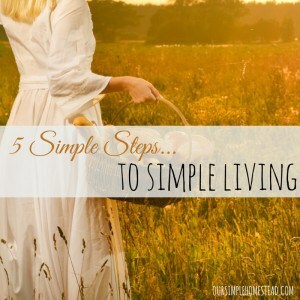 Like never before the simple living movement is taking the world by storm. The desire to be self-sufficient is all about learning to consume less and live more mindfully in the 21st century. 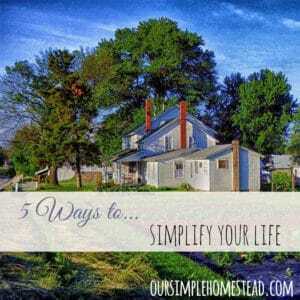 So you might be asking, how do you live a simple life? Frugal Living – The true sense of frugal living means aiming to live within your means. It means finding every way possible to repay your debt and not incur more. It’s more than just saving money, it’s reducing your consumption and learning how to be more sustainable. It can also cross over into decluttering and choosing a minimalistic lifestyle. It’s the ability to learn how to live on less and be happy living on a lower income. 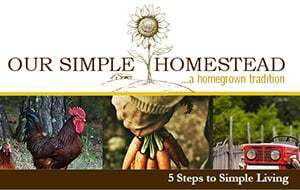 Homesteading – The term homesteading has changed its meaning over the last few decades. 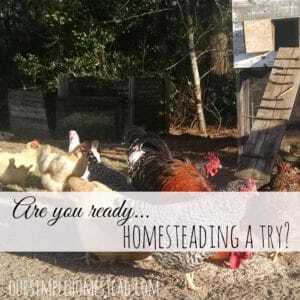 Now urban homesteading and backyard homesteading have taken on a whole new look. 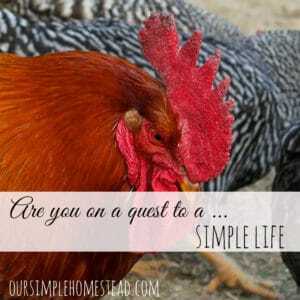 No matter if you live in the city or in the country anyone can adopt a homesteading lifestyle. That lifestyle can include growing your own food, raising backyard chickens, raising bees, choosing a community-based life instead of technology and so much more. 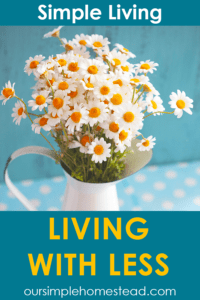 Green Living – Sustainable living goes hand-in-hand with homesteading. Concentrating on reducing your carbon footprint and living a healthy lifestyle is at its core. Buying locally organic food to generating your own power are just a few ways you can “go green.” The motto for sustainable living is “reduce, reuse, repair and recycle’. 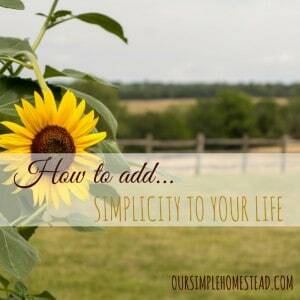 Simple Living – Living a simpler life is all about restoring a healthy balance to your life. It’s filling your calendar with more “no’s then “yes’s and it’s moving away from all of those things that are dissatisfying. It’s reducing the activities your kids participate in and replacing them with more family time. And lastly its all about reducing the things in your life that cause you stress. Living simply can mean different things to different people, myself included. Letting the bright sunshine dry my clothes while enjoying the sounds of nature around me. Choosing not to give the power company any more of our paycheck is just a bonus. Listening to our wind-up antique clock, washing dishes by hand, and burning firewood to heat the house in the winter. Watching bread rise on the counter while smelling dinner cooking in the oven. There is very little if almost nothing in our house that is pre-packaged or processed. Our meals are homemade from scratch and I know exactly what is in every meal. Opening my pantry to see a years’ worth of food we have canned, dried, and preserved. What we don’t grow and butcher ourselves we buy organic. Seeing that my sewing machine gets a workout. Everything is mended until it can’t be mended any longer and then it’s put to other uses. Enjoying a sunset evening or a storm rolling in with my hubby on our porch rather than an expensive dinner out or a trip to the mall. Feeling dirt between my fingers, the smell of roses or the taste of a sunshine warmed tomato fresh from the garden. Finding a good deal at the second-hand store while knowing the same item would have cost triple at the big box store. Walking by the TV and knowing it has not been on in days and no one is missing it. 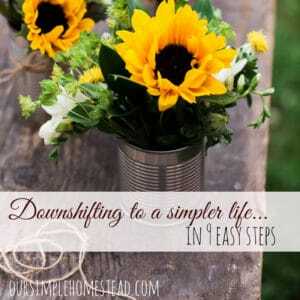 To me living a simple life means shunning the things in my life that add no value. Living this lifestyle does come with a price tag and it usually requires a little old-fashion labor, but in the end, it forces me to slow down and gives me the peace I look for every day. 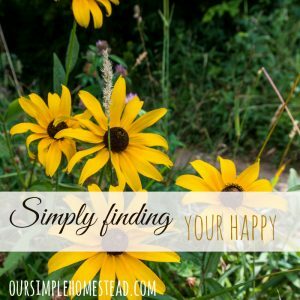 What does living a simple life mean to you? Couldn’t agree with you more, Tracy. The simple life IS the good life. Beautifully said! I grew up in farm country so I can relate, but have lived in the city for the last 30 years. We have purchased 40 acres to build on when we retire to get back to that life. Thanks for the reminder!